Living in a small space definitely comes with its challenges. Add a growing child in the mix, and those space issues get even more complicated. Between the clothes, the toys, the books, the stroller and all of the gear in between, figuring out where everything goes is like a giant puzzle. Take it from someone who learned the hard way, babies never need all the gear and gadgets you think they do. Buy, or register for, the absolute minimum, and see how it goes once baby arrives. Chances are, you’ll quickly discover what is important and needed, and what is just nice to have. 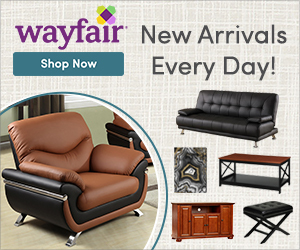 Planning a registry and in need of a little help? Check out one of Babies “R” Us Registry 101 or Completion events. 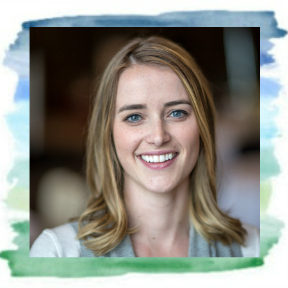 Registry 101 events are targeted towards prenatal moms, and take place at your local store on the 1st Saturday of the month, while the Completion events occur on the 3rd Tuesday of the month and provide assistance closing out a registry. With a now full year of parenthood under our belts, we’ve got maximizing the space in our tiny apartment down to a science. 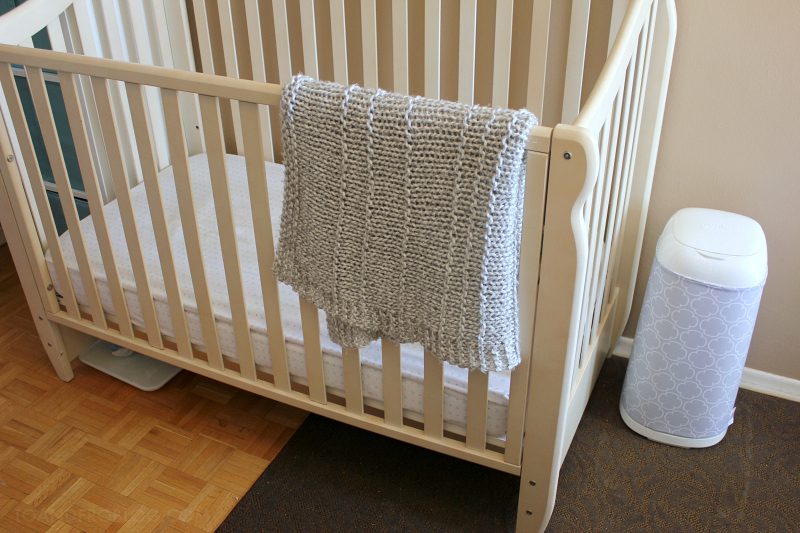 Here are a few of our baby must-haves for small spaces. Short on kitchen and dining space? Forget the bulky high chairs and instead opt for something that has a smaller footprint and that can be compacted and stored away when not in use. The high chair we opted for has a range of height settings, so baby can sit at a table or closer to the floor, and can be folded thin when not in use, sliding nicely into a closet and out of the way. 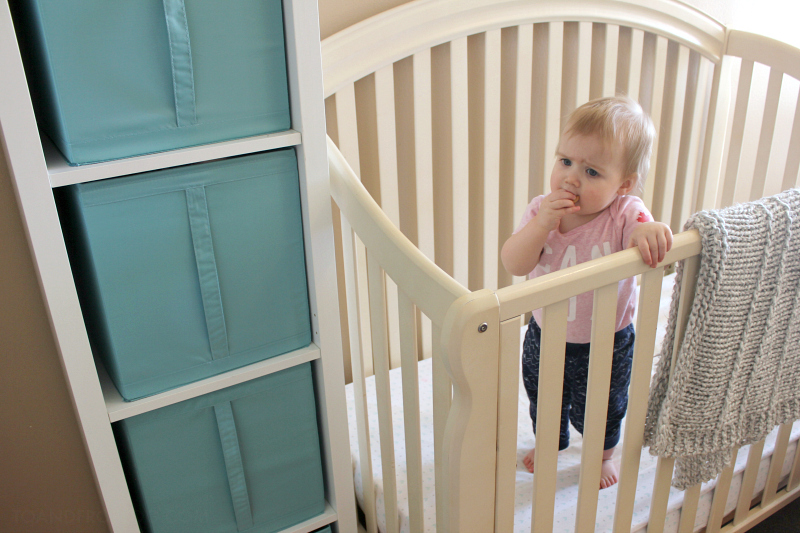 When determining our storage needs, we opted for furniture pieces that were dual function, such as one that acted as both a book shelf but that also had drawer inserts that acted as storage bins to hide all of baby’s toys, books, diapers and even clothes. By adding these decorative storage bins, we are able to hide the clutter in the bedroom or living room, turning it from something that looks like a mini amusement park to a clean space. This may seem contradictory to the point of this post, but allow me to explain myself. If you live in an apartment similar to ours and don't have access to your own washer and dryer, laundry can be a pain. Babies go through A LOT of clothes during their first year, and having to constantly venture up and down from the apartment laundry room is less than ideal. While having a few (and just a few) extra bed sheets, towels and articles of clothing may take up a bit more room, not having to make laundry a full day’s activity makes the extras worth it. And with those handy dandy decorative storage bins, you’ll have a place to store them. Word from the wise, change tables are a waste of money and space. Beds, couches and even the floor, work just fine. But, if a change table is needed, instead use something that is dual function, such as a dresser with an added portable change pad on top. It can be used as a change table when babe is little, and can be converted into extra storage when a change table is no longer needed. 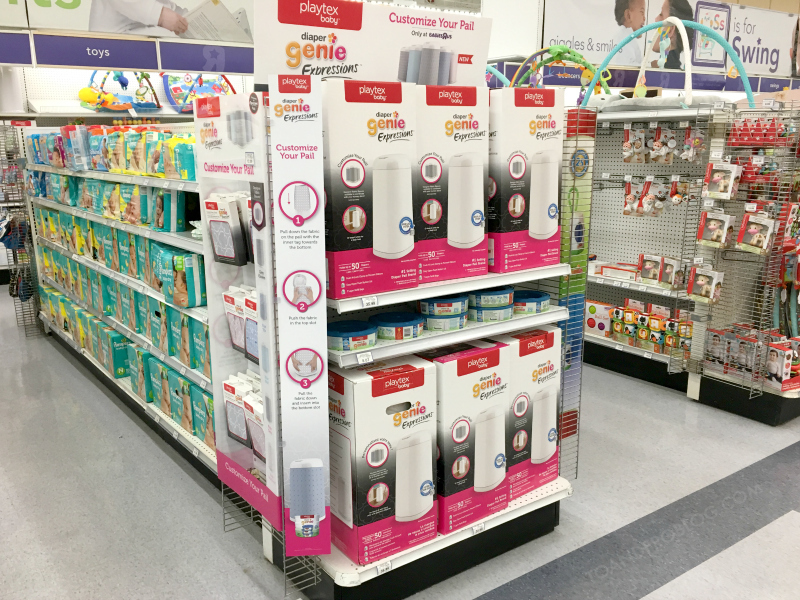 If you live in an apartment or place that does not have a garage to store your stinky diapers, you must add the NEW Playtex® Diaper Genie Expressions™ to your list. 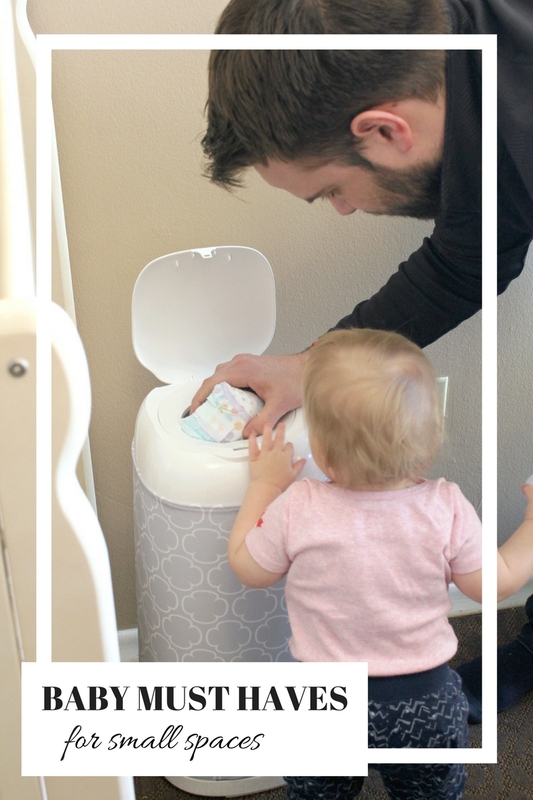 The Diaper Genie pail is the #1 selling diaper disposal brand* (*based on Nielsen scan data) and can hold up to 50 newborn diapers. 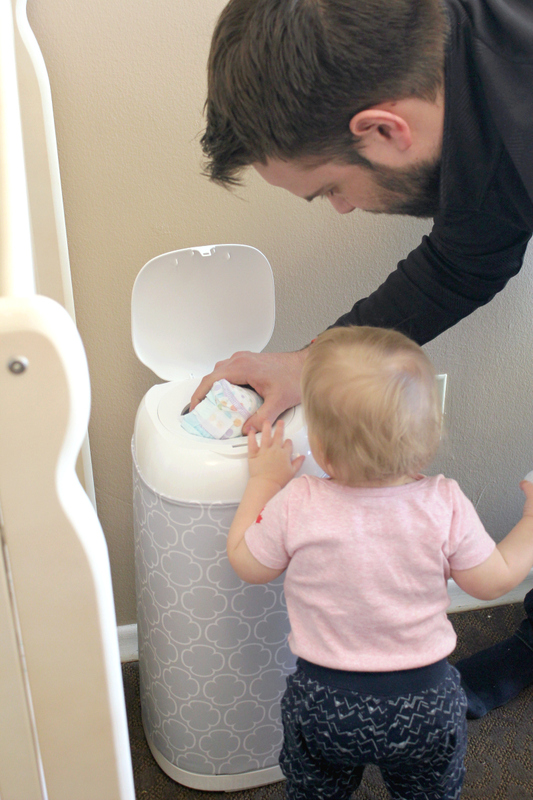 Equipped with an Odor Lock System, it seals in germs and odors, so your tiny space won’t smell of dirty diapers. And since you’ve probably spent a good deal of time decorating your baby’s space, the Diaper Genie Expressions is now customizable to match your nursery, with six designer fabric sleeves to choose from (each sold separately). Babies “R” Us has a great selection of Playtex Baby products. 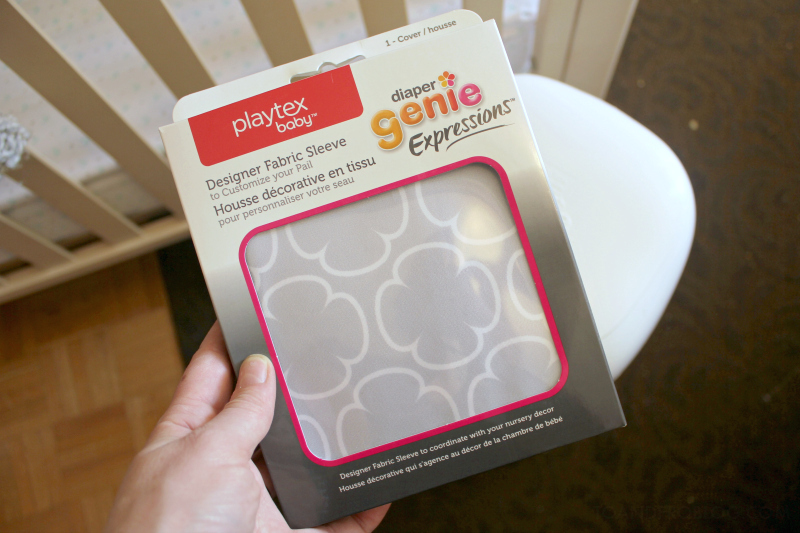 Look for the Diaper Genie Expressions and Designer Fabric Sleeves near the diaper section at your local store. By eliminating the unnecessary gadgets and gizmos in our tiny space, we have been able to squeeze every last possible inch out of our home to make a safe and healthy environment for baby. Are you the parent of a little one living in small quarters? What are your space challenges? Discover these tips for better beginnings.